Elegant Enchanted Garden watch is set to become new season must-have! 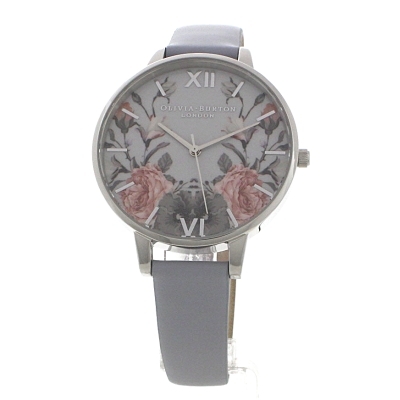 This statement-making timepiece has a 38mm-wide Chalk Blue dial that is beautifuly ornamented with the nicest of blooms and fastened with a maching soft Chalk Blue leather strap. The watch is the epitome of happiness and style. Totally in love with this watch style! Had it in black since last year and kept getting compliments on it and people asking me where did I get this nice watch from, so I bought the blue one as addition to the mini collection. The quality is really good, as Ive been wearing it alot and still looks as new! Would totally recommend!